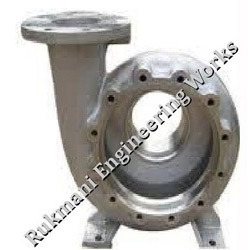 Manufacturer, Supplier, Distributor, Trader and Exporter of Centrifugal Pump Castings in Coimbatore, Tamil Nadu, Karnataka, Andhra Pradesh, Kerala, India, North India . We are impeller casting suppliers in order to meet the diverse requirements of esteemed clients, we are able to deliver a superior range of Centrifugal Pump Castings. 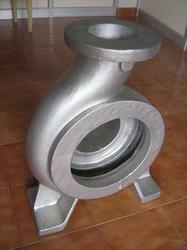 This range of centrifugal pump castings offered by us is available in number of customized specifications. Along with this, the offered range is widely appreciated among the clients for its long life, durability, low cost, easy maintenance, corrosion resistance, high tensile strength and sturdy construction. We are the leading impeller casting suppliers and manufacturers of our product Centrifugal Pump castings in Tamilnadu at Coimbatore. Looking for Pump Castings ?